NIGERIA – Krispy Kreme Doughnut Corporation, an American doughnuts and coffee brand is investing US$7 million in a network of outlets as it begins its journey into the Nigerian food and beverage market, offering 16 different varieties of doughnuts, as well as Nigerian blended coffee. The company says that its expansion into the Nigerian market is expected to generate at least employment for 200 Nigerians with new outlets expected over the next few months, with the first outlet opened over the weekend in Lagos. 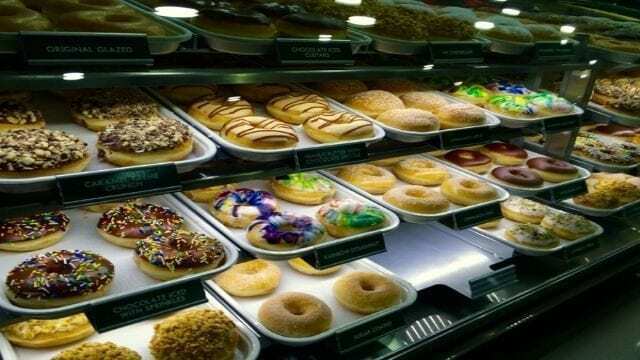 Alexander Trotter a non-executive director of Krispy Kreme said the investments in Nigeria are expected to bring dynamism to the country’s food sector through offerings that differentiate the brand from others. “We are thrilled to be expanding into Nigeria, and we are looking at other cuisines over the next few years. Our expansion into Nigeria is informed by the potential in the domestic market and the need to do something rare,” said Trotter. Anson Markle, the firm’s director, international franchise operations, said the brands’ presence in Nigeria will make it the 34th country where the firm has established its presence, adding that the open production strategy is expected to reinforce the firm’s commitment to consumers in the area of quality and high standards. Quality Foods Africa (QFA), its Nigerian partners, will be responsible for implementing the expansion of Krispy Kreme brand into the country under a development agreement that will bring 20 Krispy Kreme shops to Nigeria over a period of five years. Markle explained that while the coffee is locally sourced, its materials for doughnuts were sourced internationally to retain the standards and recipe enjoyed across its stores when asked about backwards integration policy of the food company. Krispy Kreme had earlier ventured into the South African market in 2015, its first venture into Africa and currently operates ten outlets in the greater Johannesburg area.